Some 39 years ago—way back in 1979—Price Pritchett focused his firm’s work on a novel, unexplored field: merger integration strategy. Hard to imagine, but back then this was a brand new practice area for consulting. PRITCHETT was the pioneer, the very first outfit in the U.S. to specialize in this key aspect of M&A. At that time there were zero books that had been written about the merger integration process. A few scattered articles in business journals made brief reference to the challenges inherent in consolidating companies, but basically it was uncharted territory. There were no ground rules. No map to help managers navigate the treacherous terrain. Nobody had spelled out what to expect or how to handle the unique project management issues and cultural dynamics that are generic to mergers. So we staked out this sector of M&A as our niche. Price wrote the first book about Merger Integration— After the Merger: Managing the Shockwaves —which was named “One of the 10 best business books of the year” and is considered a classic in the field. Later he authored The Employee Guide to Mergers and Acquisitions, which to this day outsells all other merger books combined on an annual basis. For more than three decades now the integration process has been PRITCHETT's strike zone. 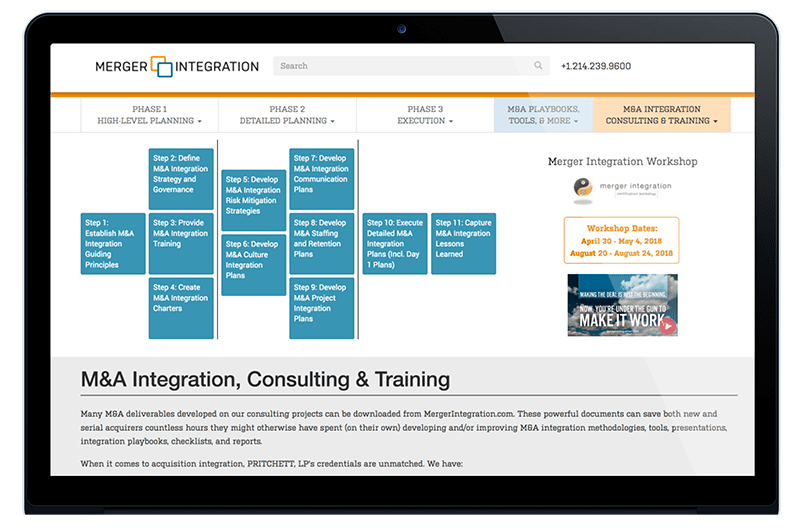 During that time we’ve developed an array of tools and deep insights while working with corporate America’s most respected names in their M&A endeavors. 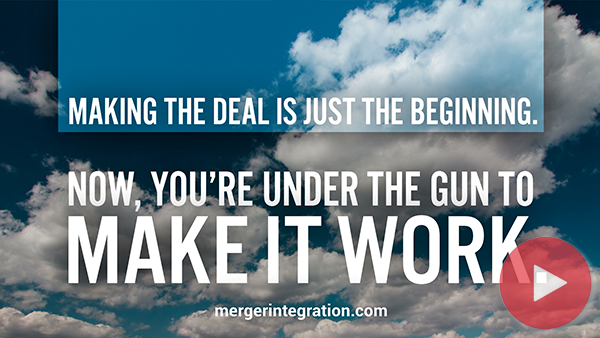 This website is about our sweet spot: M&A integration. Here we’ll share with you deliverables, playbooks, tools, articles, and presentations drawn from our many consulting projects, speeches, publications, research projects, training programs, and strategy sessions with clients engaged in the fast-growth game of M&A. We’ll also give you our observations on current practices and introduce you to new insights. 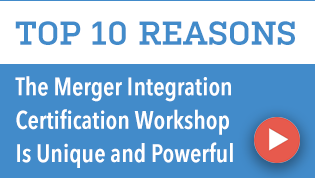 We invite you to register on MergerIntegration.com and join our community.